Total bedlam in the Molade Okoya-Thomas Hall of the Teslim Balogun Stadium, dedicated table tennis fans in their amazing numbers, graced the opening day of the 2018 Seamaster ITTF Challenge Nigeria Open. There was overwhelming excitement. Commencing on Wednesday 8th August with the qualification stage and concluding with the final programme on Sunday 12th August, excited fans made it clear they are enjoying every minute; they won't entertain thoughts of missing any day's action. Notably Ademola Amin, a Lagos based businessman and Ayoride Babajide, a commercial driver, alongside students Emmanuel Phillip and 14 year old Abayọ Salami soaked up every moment of the action. They were all full of broad smiles, delighted with the action that unfolded before they eyes. 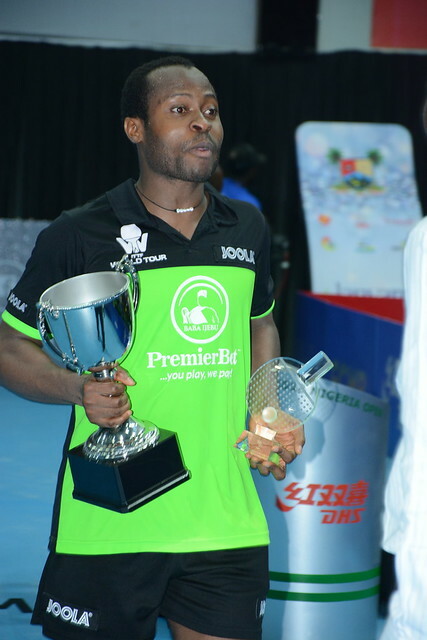 “I want Quadri Aruna to bring the trophy home. I hope other Nigerians will also do well in their categories.” Abayọ Salami. The crowd on the opening day was immense; a sight to behold, every point was applauded. The fans want a first ever Nigerian winner; most importantly, the hall was full of energy, alive, vibrant.